Dr. Hiratsuka is currently an Indigenous Senior Researcher in the Southcentral Foundation Research Department in Anchorage Alaska. In 1999 Dr. Hiratsuka earned her BA in Human Biology from Stanford University, her MPH in Public Health Practice from the University of Alaska in 2007, and her PhD in Public Health from Walden University in 2013. Dr. Hiratsuka’s current research activities include serving as the Co-Investigator or site PI on 4 projects aimed at improving a range of health outcomes in diverse AN/AI communities’ topics. These projects focus on implementing a patient-centered “medical home” model of health care in a tribal health system; screening, detection, and management of trauma in primary care; primary care team shared decision-making for depression treatment, and evaluating the early childhood health outcomes related to culturally modified Nurse Family Partnership intervention. 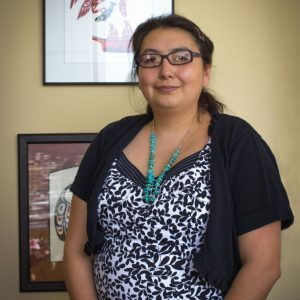 Her analytical experience includes qualitative and quantitative analysis of health interventions in the Alaska Native outpatient primary care setting. Dr. Hiratsuka is of Navajo/Winnemem Wintu heritage.